New roads could be quickly and easily slotted into place, piece by piece, with a new Lego-like modular plastic system that makes the building process feel more like playtime. 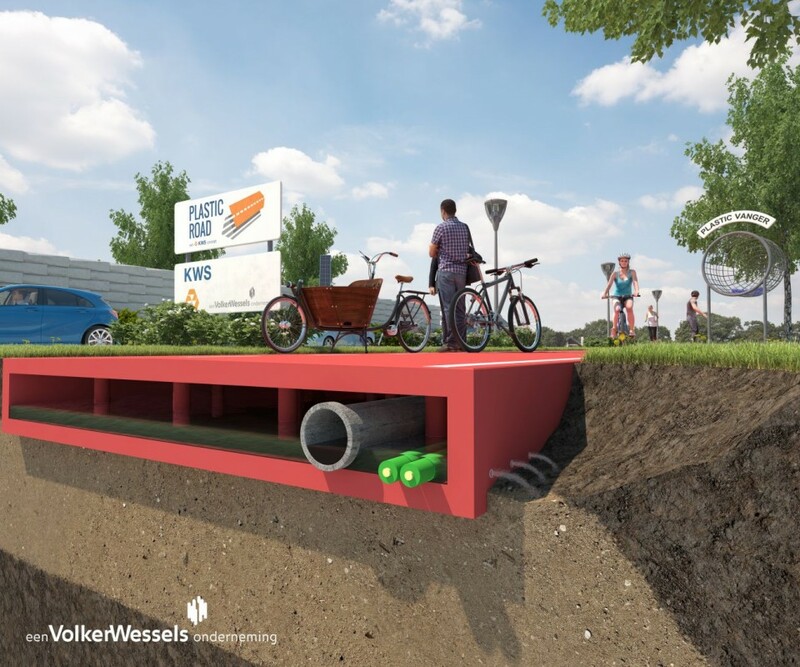 Prototypes of the PlasticRoad concept will soon be tested in a collaboration with the city of Rotterdam in the Netherlands, potentially replacing asphalt and tar with a strong, corrosion-resistant recycled aggregate made of plastic waste removed from the oceans. 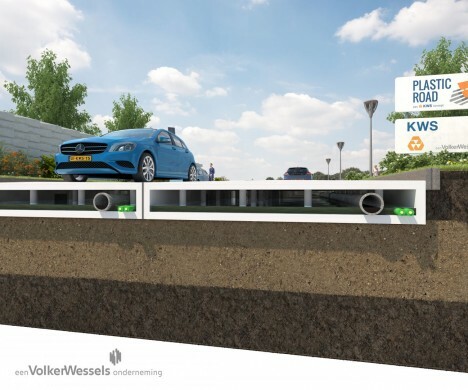 According to manufacturer VolkerWessels, these modular components can withstand temperatures between -40 and 176 degrees Fahrenheit and other harsh weather conditions, and are ideal for roads built upon structurally unsound ground like sand. It’s unclear whether they would shift around on surfaces like that over time, however, or how cars would handle on their surfaces when it’s rainy, snowy or icy. They’re hollow, so cables and utility pipelines can be installed under the surface, protected from the elements and easy to maintain. Quick installation means far briefer periods of disrupted traffic during construction, and the prefabricated panels can simply be transported to the sight and lowered into place. 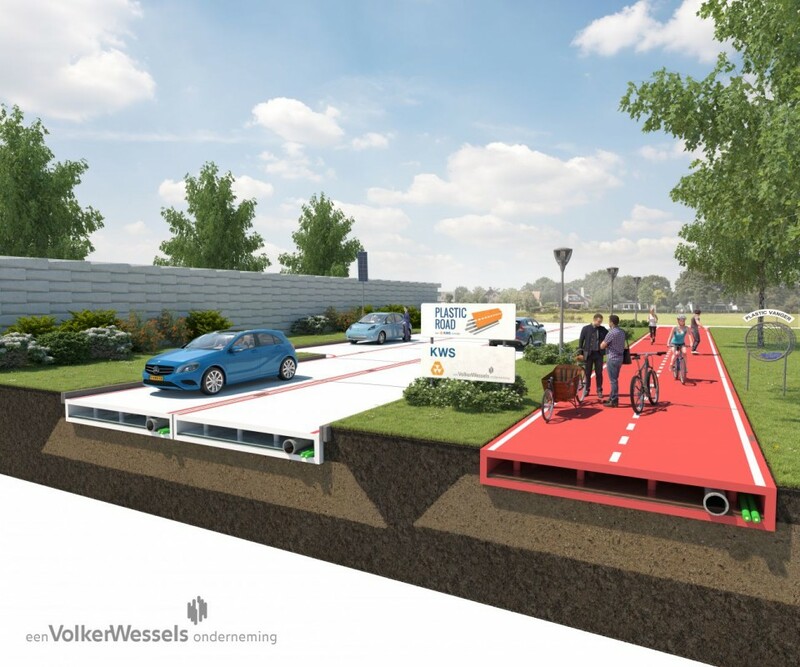 If they pass the tests, the PlasticRoad project could see its first full-scale installation in Rotterdam within three years. 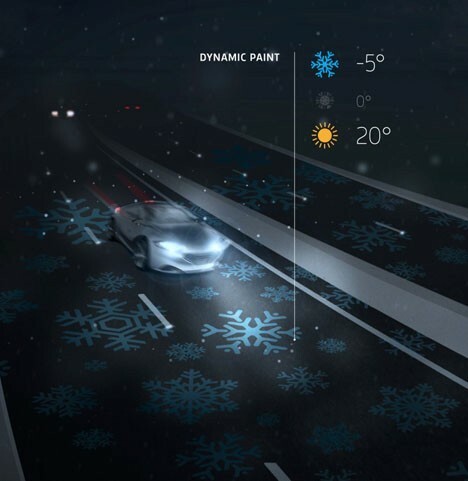 The concept is reminiscent of other asphalt alternatives that have been proposed over the years, like ‘smart highways’ covered with dynamic paint providing useful information to drivers (pictured above) and heated, LED-light-embedded solar roadways. The latter concept has been dismissed by many critics as unrealistic, considering the vast expense involved in manufacturing and maintaining them and the likelihood that they would draw power from the grid anytime it’s not sunny.